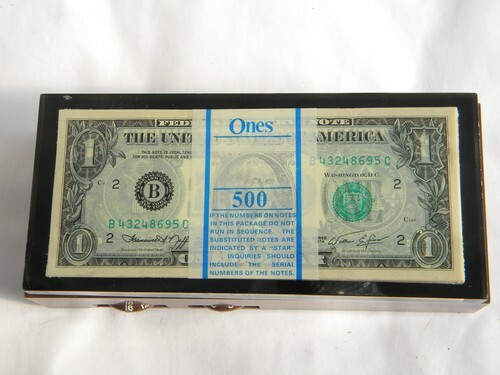 Retro 1970s, novelty transistor AM radio. 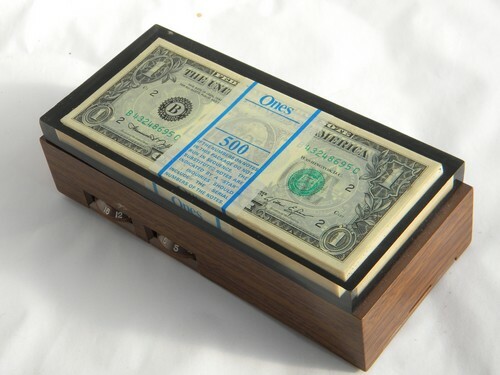 This radio is made to look like it has a stack of United States dollar bills cast in plastic on top. 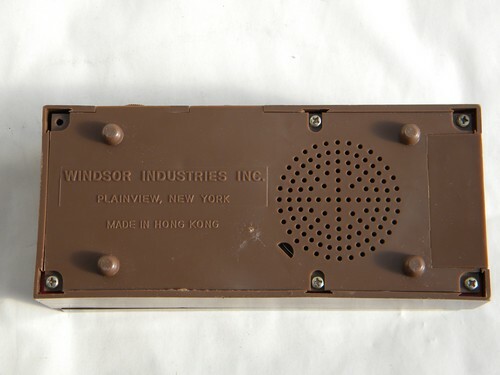 It is marked "Windsor Industries - Made in Hong Kong". 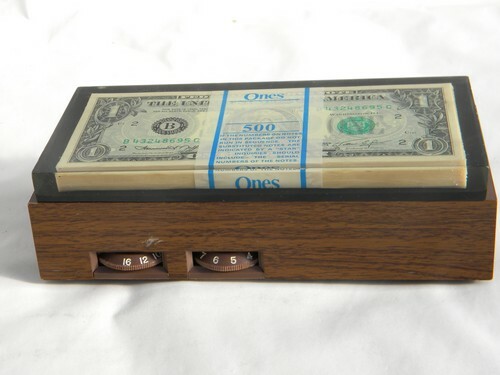 It uses a 9 volt battery and works.